Full Day Outer Great Barrier Reef Snorkel Tour. Offering two separate world class locations, delicious lunch and 'Reef Goddess' - our custom built dive and snorkel vessel will get you to the reef and back in comfort and safety. 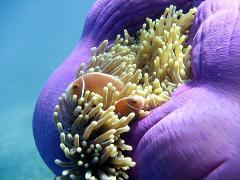 Full Day Outer Great Barrier Reef Day Trip Including 1Certified Dive. All dives are fully guided by our PADI Dive Master and includes all equipment. Full Day Outer Great Barrier Reef Day Trip Including 2 Certified Dives. All dives are fully guided by our PADI Dive Master and includes all equipment.